Whack-a-Wall is an awesome new inflatable game from i2k that combines speed, accuracy, agility, dexterity, fitness and FUN!!!! A twist on both Reaction Walls and the traditional Batak, the Whack-a-Wall inflatable game is fast to erect and very lightweight. It is perfect for children’s parties, adult events, corporate events, fun days, carnivals and much, much more. 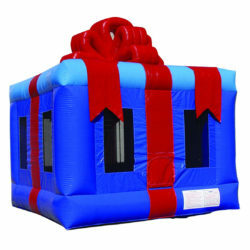 The Whack-a-Wall inflatable is a great addition to any bouncy castle fleet because it is inexpensive and a lot of fun. Dimensions: 8′ L x 13′ W x 7′ H, Weight: 77 lbs.